ALL OF CREATION IS BORN TO BE FREE! AMERICA WAS FOUNDED ON THIS TRUTH – HAVE WE DEMONSTRATED THAT TRUTH FOR ALL PEOPLE? 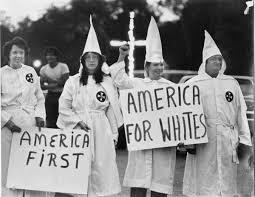 Following the Civil War, the Klu Klux Klan struck terror in the hearts of Black Americans. 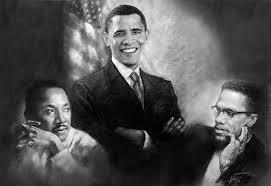 Filed under: Black History, Civil Rights, Spirituality |	Comments Off on ALL OF CREATION IS BORN TO BE FREE! AMERICA WAS FOUNDED ON THIS TRUTH – HAVE WE DEMONSTRATED THAT TRUTH FOR ALL PEOPLE? What Americans have been taught about our true history is next to nothing, especially regarding African Americans. Maya Angelou’s death (May 28, 2014) brought back an intuitive knowing that has repeatedly nudged my mind recently. It happened again today as people all over the world stopped to remember Dr. Angelou and her contribution of wisdom to their lives through a wide variety of avenues. She did the superhuman, rising from a childhood of poverty and abuse to the greatness we are celebrating today. 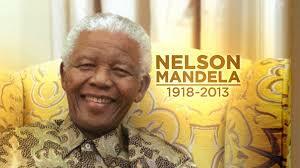 I remember the death of Nelson Mandela in December 2013. He, too, had accomplished the superhuman. After serving 27 years in prison, “during which time he contracted tuberculosis and, as a black political prisoner, received the lowest level of treatment from prison workers. While incarcerated, Mandela was able to earn a Bachelor of Law degree through a University of London correspondence program.” After his release from prison, Mandela went on to become the first black president of South Africa. [i] Only a few months ago, the world stopped to celebrate Mandela’s contributions to their lives and our planet. In 2008, America elected its first black president, or so we thought. The world stopped that night to celebrate the victory of Barack Obama. According to many who channel for Higher Beings, the American people actually elected Obama. Attempts to manipulate elections were stopped by our galactic family. In 2012, we got to witness on TV Karl Rove’s surprise that Obama was once more elected. 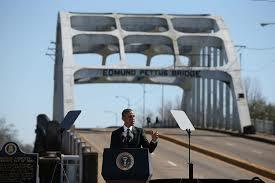 We thought we had elected our first black president because we do not know our true history. The internet has provided a pathway to learn much more actual history than we have been taught in our schools and universities. Moorish history became available. “The majority of the world’s population has Moorish blood in them”: the skin color varies from light to blue black. Queen Philippa was England’s First Black Queen. The 21 gun salute originated with the Moors. [ii] I have read a channeled message by Elizabeth Trutwin that states the present Queen Elizabeth of England is a Moor. At this point, it is still controversial, but it is possible that John Hansen, a Moor, was the first president following America’s adoption of the Articles of Confederation on March 1, 1781. He took office just as the Revolutionary War ended. Almost immediately, the troops demanded to be paid. As would be expected after any long war, there were no funds to meet the salaries. As a result, the soldiers threatened to overthrow the new government and put Washington on the throne as a monarch. All the members of Congress ran for their lives, leaving Hanson as the only guy left running the government. He somehow managed to calm the troops down and hold the country together. If he had failed, the government would have fallen almost immediately and everyone would have been bowing to King Washington. In fact, Hanson sent 800 pounds of sterling silver by his brother Samuel Hanson to George Washington to provide the troops with shoes. President Hanson also established the first Treasury Department, the first Secretary of War, and the first Foreign Affairs Department. As we learn our true history, we are very likely to find that a black man was the first president following the adoption of the Articles of Confederation. Barack Obama is very likely the last president of the United States as we have known it. With disclosure of our galactic family’s presence with us, Earth humans are to create a galactic culture of love, peace, and abundance for all. My intuitive sense is that we will soon discover Black History has been far grander than we have heretofore known! Fascinating research for those interested! NOTE BY NANCY: Bold font was not intended … typed during an electrical storm and cannot change it.